When German photographer Gerrit Engel moved to New York in 1994 to study architecture, he combed through bookstores in search of a book documenting the city’s most important buildings—not just some eccentric details but each edifice as a whole from the street level to the roof; no fancy photographic distortions but captured as the structures present themselves to the ordinary pedestrian. Having searched in vain he decided to do it himself. Documenting prefabricated housing estates in East Berlin neighborhood of Marzahn, and Buffalo grain elevators, he knew what he was looking for. What he came up with is no less than a typology of Manhattan architecture: 150 buildings in chronological order of their creation between 1793 and 2005, complete with names of the architects and locations. 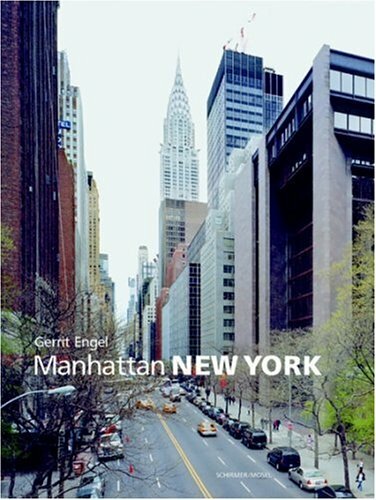 Engel’s brilliant color photographs present a survey of the mix of styles that make Manhattan a unique architectural environment. We now get what Gerrit Engel had been looking for.